Welcome to my new website. It’s been a long while since I rebuilt my last one (two jobs ago, infact! ), so I figured I should launch a new site and get back into the blogging thing. It may surprise some of you, but my site is now running on WordPress again. Yup, WordPress. There are a few reasons for this, and I’ll explain them in a minute. As part of the migration, I copied all of my old posts over but have taken down a lot. Most were outdated and no longer relevant, but a few were just plain wrong. I’ve flagged a few of them to rewrite, so hopefully any you’re missing will be back online updated shortly. 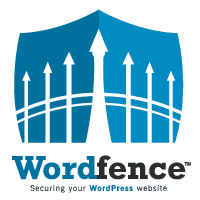 The primary reason for switching to WordPress is that I am now working for Defiant, the WordPress security company that makes Wordfence. If you’ve never heard of us before, we make the best security plugin available for WordPress (I may be slightly biased…). Since I’m a big believer in “dog-fooding” (using your own stuff for testing purposes), I decided to switch to WordPress on my site. This allows me to test Wordfence in a live environment, and also get more familiar with WordPress itself. Another reason is the simplicity of WordPress. My last site sat unchanged for years. It hasn’t been a problem yet, but there is still the potential for security vulnerabilities. Also, it just felt stale. Using a full CMS like WordPress makes updates easier, so I am more likely to do them (in theory). I should add at this point that my last site was all flat-files in a repository, so editing needed a text editor and git client. With WordPress, it is all done in the browser, so is a much easier experience. What about Gutenberg, Ghost, and Security? Regarding Gutenberg, I actually really like Gutenberg! It has some problems and a controversial history (and present), but from a content creation point of view, it’s actually really really nice. Finally, WordPress isn’t a security risk. I spent over a year cleaning infected WordPress websites, and WordPress itself isn’t the problem. You shouldn’t be hacked as long as you’re careful, install a decent security plugin (like Wordfence 🙂) and follow some basic security best practices. Well, that’s the theory anyway. 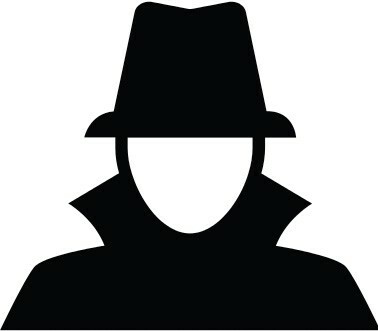 Ask me in a year if I’ve been hacked or not! What about Laravel? I’m still a huge fan of Laravel, nothing has changed there. I prefer to spend my days developing sites in Laravel, but ultimately I don’t have time to spend building and maintaining a personal site right now. I’m a work-from-home Dad with two kids, a full-time job, and a side job. Building and maintaining a personal site is effort and extra mental load that I just don’t have time for at the moment. I’d rather be playing with my kids in my spare time and using a tried and tested tool like WordPress.